Based in Srinagar, we are one of the distinguished tour operators as we offer excellent Rail Ticketing Services to our clients. We provide our clients wide choice of trains at affordable rates. 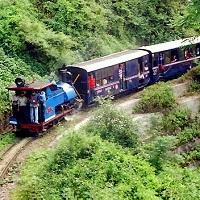 Our expert professionals offer complete assistance to book train tickets as per their travel plan. We offer our clients with affordable Rail Ticketing Services in the most convenient manner. We save our clients from the long queues at the railway station and offer them with information about trains operating within India. If you are looking for reliable Rail Ticketing Services, you can contact us. Client satisfaction is our main goal.